Hyundai Motor India Ltd (HMIL), the country’s second largest car manufacturer and largest passenger car exporter launches “Save Water” campaign by promoting ‘Dry wash’ on the occasion of “World Environment Day”. The 45 day long campaign “Save Water” in association with Society for Indian Automobile Manufacturers (SIAM) will start from June 5 till 19 July 2017 at 1,254 Hyundai Dealer workshops across India. 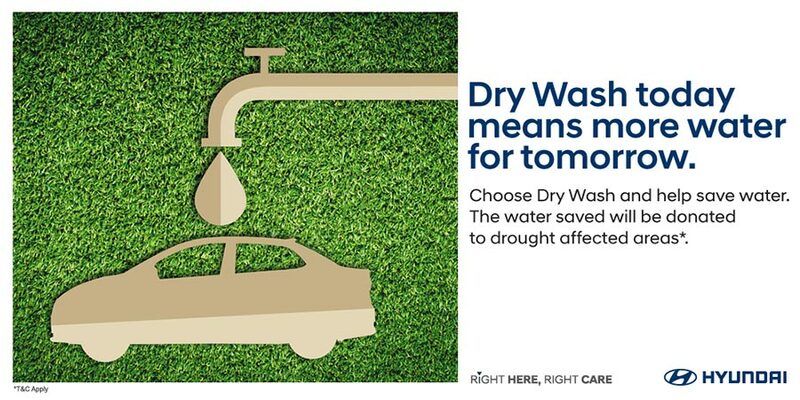 Hyundai being a caring & responsible corporate, promotes ‘Dry Wash’ for cars with the aim of saving 120 liters of water per car. Post conclusion of the campaign, Hyundai will donate the same amount of water to the drought affected areas in India.